This recipe was so quick to put together and it turned into a nice, hearty meal. I have to admit I was a bit skeptical at first of the uncooked spaghetti and how exactly it was going to get cooked, but it all turned out well in the end! 1. BROWN turkey in large skillet; drain. 2. STIR in sauce and water; mix well. Bring to boil. Stir in spaghetti. Reduce heat to medium-low; cover. Simmer 15 minutes or until spaghetti is tender. 3. SPRINKLE with cheeses; cover. 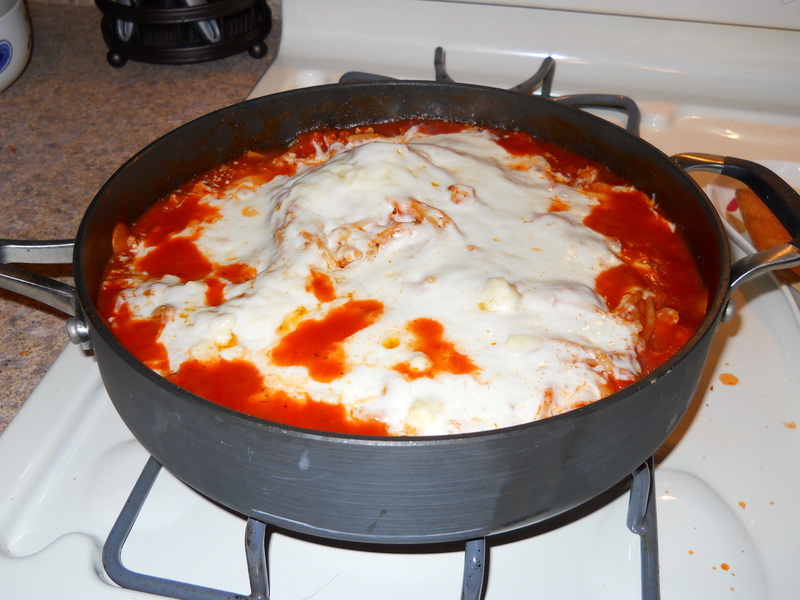 Cook 2 minutes or until mozzarella cheese is melted. Posted in Main Dish and tagged grated parmesan cheese, ground turkey, shredded mozzarella cheese, spaghetti, spaghetti sauce, water. Bookmark the permalink. This dish was the easiest ever! 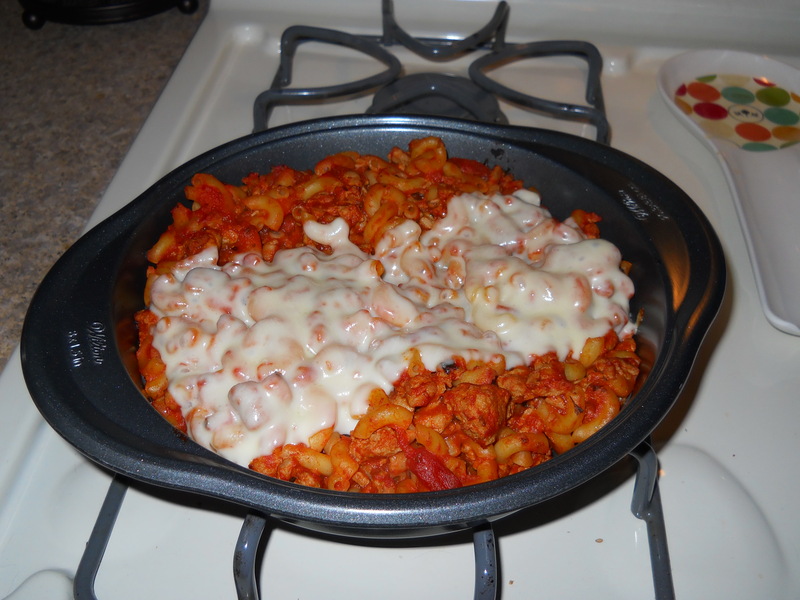 It was so simple to make, but so hearty! 1. PREHEAT oven to 375°F. Cook turkey in large skillet until no longer pink, stirring frequently. 2. ADD spaghetti sauce, macaroni and Parmesan cheese; mix well. Spoon into 8-inch square baking dish. 3. BAKE 10 minutes or until heated through. Top with 2% Milk Singles. Bake an additional 3 to 4 minutes or until 2% Milk Singles are melted. Posted in Main Dish and tagged elbow macaroni, grated parmesan cheese, ground turkey, mozzarella cheese singles, spaghetti sauce. Bookmark the permalink.